Bulbs are easy to grow, provided that you stick to some essentials. Probably no other plant group gives as much variety and pleasure to the gardener with so little effort. And if you don’t have a garden, bulbs do very well in pots and containers. If you know a few tricks, some can even be induced to flower indoors! The unique thing about bulbs is that they need little but water. Bulbs have a self-contained, highly developed food-storage mechanism that has adapted itself to life underground. Other plants can live in strange habitats­ like orchids in high trees or seaweed in the ocean­ but bulbs alone are able to provide nourishment for themselves in the most diverse kinds of soil. Even after lying dormant for months, enduring drought, frost or searing heat, bulbs can spring back to life continuing their species when conditions improve. Hence bulbs are easy and need little care. Almost throughout the year bulbs can be used in the garden: in spring, summer and in autumn, as late as November when the tiny Cyclamen coum starts to flower. So explore the possibilities of bulbs and turn your garden into a year-round bulb paradise. Bulbs can be divided in three groups: spring flowering, summer flowering and autumn flowering bulbs. 3–4 weeks before the frost is in the ground. They need the cold season to start their biological clock. Hence in general spring flowering bulbs will grow in climate zones 4-8. Well-known summer flowering bulbs are Dahlias, Begonias, Lilies, Gladiolas and Callas. Summer flowering bulbs are planted late spring. A couple of months later they will bloom. Summer flowering bulbs will bloom in most climates but most of them are not winter hardy. Hence in cold climates, most summer flowering bulbs should be lifted and stored to be used the next season. 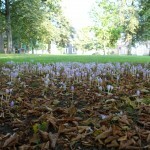 Well-known autumn flowering bulbs are Autumn Crocuses and Colchicums. Autumn flowering bulbs are planted in summer. 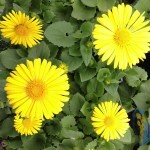 They will add some color to your garden when it is most needed. Most bulbs are perennializing and some even naturalizing. Perennializing bulbs will return several years in a row. The large sized quality bulbs TulipWorld delivers will return for at least 3 years. Naturalizing bulbs will reproduce and come back every year. Bulbous plants will not flower again unless their leaves, which manufacture starch and sugars through photosynthesis, have time to replenish the depleted food supply of the bulb for the coming year. To replenish they create embryos for the next year’s flowers and, in the case of corms, produce new corms to replace the old ones. This process continues for weeks after the flowers die. That’s why the foliage must never be cut until it has yellowed. And even after the foliage has completely withered, the bulbs are at work below ground. Whether they are lifted and stored for winter in warm climates or left to winter in the cold, they continue to undergo a chemical change to prepare for the next cycle. Bulbs have biological clocks that tell them when to sprout roots, when to stem, when to sprout leaves and when to flower and then finally when to die down and go into dormancy. Spring blooming bulbs have to be planted in fall when they are fully dormant. In fact they are longing for moisture and soil – and as soon as you plant them, they start to develop their embryonic leaves and flowers. They quickly push out roots from their bottoms and, a little later, stems from their tops. The stems grow until they are just beneath the soil’s surface and then they halt! They are stopped when the soil temperature drops due to freezing. But even when it is not freezing their biological clock tells them to protect themselves against the winter cold. Generally speaking, spring blooming bulbs start to grow when temperatures rise, usually in early spring. When it gets warmer they flower for a relatively short period and then die down to go into dormancy. Some bulbs accumulate enough nutrients to nourish not only the plant but the blossom and leaves throughout the flowering period. That‘s why for example, the autumn crocus will flower on a shelf if you have neglected to plant it in time. And that’s why some narcissus will bloom if simply set in a bowl of moist pebbles. In fact, pretty much anyone can get bulbs to bloom once! The plants we loosely call bulbs are in fact divided into four broad categories: true bulbs, corms, tubers/tuberous roots and rhizomes. A true bulb such as a tulip or daffodil is almost a complete embryo of the plant to come, packed inside a covering of fleshy scales or layers that store the plant’s food. A corm, such as crocus or gladiolus, is a solid mass of storage tissue with a basal plate below and buds, sometimes called eyes, on top. A tuber, such as a fancy leafed calladium or calla lily, is also a solid mass of storage tissue with buds but no basal plate. A tuberous rooted plant such as the dahlia, has swollen, food-storing roots; the bud eyes are not on the roots but on the base of the plant’s stem. A rhizome, such as canna, is a thickened underground stem that grows horizontally, with bud eyes on top and roots below. 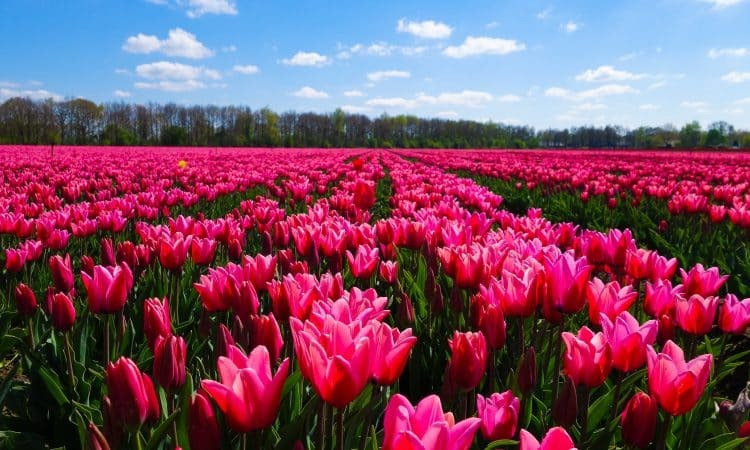 The most famous of all bulbs, the tulip, has been the cause of a major financial crisis in the Netherlands only a few decades after it was introduced in our regions at the end of the 16th century. It originally came from eastern Mediterranean regions, which at that time — a very prosperous time in The Netherlands — were the source of many exotic products. For the rich and the famous, the tulip was a status symbol. The popularity of the tulip soared and soon the demand skyrocketed. In 1636, people started using the tulip to speculate with, indebting themselves to buy the bulbs at very high prices and selling them for even higher ones. Prices went as high as the prices of big houses along the canals in Amsterdam. Nowadays one floor in such a house already costs more than one million guilders. The reversal of their fortune was reached on February 3rd, 1637, when for the first time, a collection of very exclusive tulips remained unsold. Other cases followed and the speculative bubble was quickly pierced.